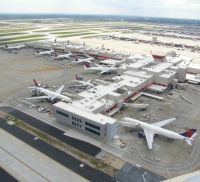 IATA (International Air Transport Association) and OAG (Official Airline Guide) have published their monthly airline traffic figures, with IATA the actual number of passengers carried (in this case April), and with OAG, the seats actually on offer (June). 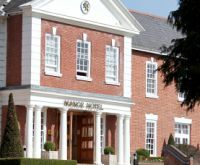 Just five miles south of Birmingham Airport, on what was the former Birmingham Road (now B104), the Manor Hotel Meriden has joined the world’s largest group of independently owned hotels, Best Western, as a ‘Plus’ hotel. The 4-star property offers a tranquil setting in the very centre of a picturesque Warwickshire village yet only minutes from the cities of Birmingham, Coventry and Solihull. It is three miles from the M42 with easy links to the M40, M5 and M6. Introduced in conjunction with coach operator ALSA, Iberia has commenced what it calls ‘Bus & Fly’ enabling travellers to connect between city points on a single ticket. Initially it will provide coach travel to Madrid T4 between the Spanish cities of Albacete, Burgos, Lorca, Soria and Valladolid. All the bus terminals now have an IATA code and appear in global air ticket reservations systems, enhancing their international visibility. ALSA has been part of the UK’s National Express group since 2005, and is Spain’s leading long-distance coach line operator. 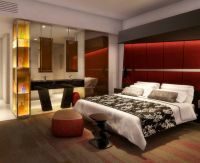 Hilton is to open a 207-room new-build property in Lima by the end of the year. 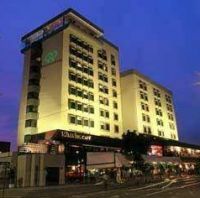 It is the company’s first managed property in Peru and the brand’s first Hilton Hotels & Resorts hotel in the country. 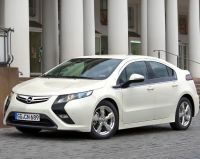 Perhaps better known in the US as the Chevrolet Volt, the Opel Ampera electric car is now available to rent from Europcar in Frankfurt and Brussels. It has been offered in Amsterdam since March. Design Hotels' first Sydney (Australia) property will open on 17 September of this year. While preserving two of the city’s most iconic buildings, and called QT Sydney, it is destined to become a new landmark by reviving a rich and colourful past of theatre and retail. Make sure that newsletter@btnews.co.uk is on your 'white list'. Please forgive the pun but Monarch Airlines, which itself goes back to 1967, has produced what it calls a ‘Jubilee infographic’. It takes you through a journey over the last 60 years of air travel, and illustrates Monarch’s (the airline) own progress over the years, parallel with that of the industry. The years in which the Queen has been on the throne have been the most important years in air travel. 1952, the year the Queen ascended the throne was also the year of the world’s maiden jet airliner passenger service. Monarch Airlines' first aircraft was a Bristol Britannia 175 turboprop. By 1988 the airline was carrying around 2.5m, all charter. 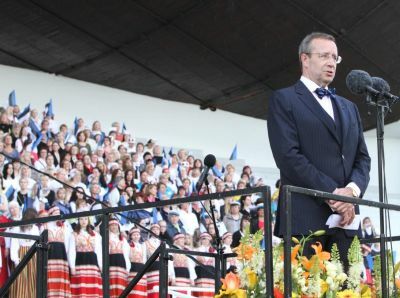 By 2011, this number had increased to 6m, mainly scheduled. In 1971 the first pure jet, a Boeing 720 (707 variant) arrived, followed by the BAC 1-11 in 1974. From 1988 to 1997 the Boeing 737 was the mainstay of the fleet, replaced by Airbus 320 series. What the future holds for the long-haul Boeing 757 fleet after 2014 remains to be seen. The infographic throws in a few surprises too, such as the changes in speed of travel, the cost of travel, and the Monarchy’s air travel spend for 2011! 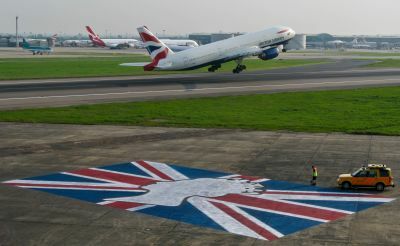 Not to be outdone by other larger UK airlines celebrating the Jubilee, Humberside-based regional carrier Eastern Airways will be flying the flag for Britain this summer, as one of its aircraft has been unveiled in patriotic Union Jack livery. The new livery can be seen on the fuselage and tailfin of a 37-seater Embraer 135 jet with Rolls-Royce engines, which flies around Eastern Airways’ UK and European network. Global Infrastructure Partners (GIP) has formally taken over ownership of Edinburgh Airport from BAA Ltd. 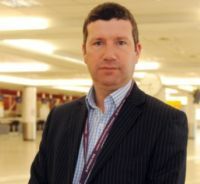 The company has announced Gordon Dewar, a former Managing Director of the airport, has been appointed Chief Executive. The airport was sold to GIP in April, after the Competition Commission ruled BAA had to dispose of either Edinburgh or Glasgow. GIP also owns London City and Gatwick airports. Travellers who use Icelandair’s very competitive fares when visiting the US from Europe will have another benefit added by the end of the year. The carrier has signed a contract with Row 44, a leader in commercial in-flight broadband service, to equip Icelandair's fleet with high-speed wi-fi. This new service will enable passengers to use their own wi-fi enabled devices to connect to the internet while flying with Icelandair. The fleet installation is expected to begin in the fourth quarter of 2012 and to be completed in the fall of 2013. With the completion of installation, Icelandair will be first North Atlantic carrier to offer wi-fi fleet wide. Users of the London Underground will shortly be able to connect to the internet at Tube stations across the capital. Oxford Circus, Stratford (for the Queen Elizabeth Olympic Park) and King’s Cross will be among stations with courtesy wi-fi enabled by the end of July, a total of 80. The plan is to have up to 120 stations connected by end of 2012. SkyTeam has welcomed Saudia as its 16th member at a joining ceremony held in Jeddah. The flag carrier of Saudi Arabia, Saudia becomes SkyTeam’s first member airline from the Middle East and gives the alliance a foothold in this important economic region. Tourism spend in the UKThe Jubilee weekend has been seized as a fine opportunity to emphasise that the travel & tourism industry in the UK is nearly five times the size of automotive manufacturing and supports almost as many jobs as the financial sector. This is according to new research from the WTTC (World Travel & Tourism Council) sponsored by American Express and published last week. 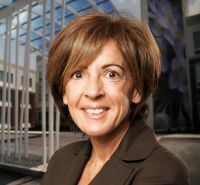 Obtaining a tourist visa is a major deterrent for potential visitors to the UK and visa policy needs to be reformed to keep pace with major competitors like the US, Ufi Ibrahim, Chief Executive of the British Hospitality Association (BHA), told leaders at a hospitality and tourism industry summit last Friday (1 June). New menu options in its premium cabins have been introduced by United Airlines on its long-haul international flights. Customers travelling in Global First and United BusinessFirst can choose from high-quality, restaurant-style entrées, including selections of beef, chicken, fish and vegetarian-style pastas. The sale of the regional division of British Midland Airways to the UK consortium of investors, Sector Aviation Holdings Ltd, by IAG (British Airways) has now been completed. 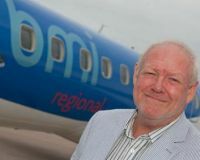 Future plans include the likely strengthening of the head office function at East Midlands Airport. With the opening last week of the new Blackfriars (City) Station on the competing Thameslink line, the Gatwick Express to Victoria has announced a 17% increase in passengers in the past year. Victoria takes 30 minutes, Blackfriars 35. Toyko Haneda to Okinawa may have a sector length not much longer than 2hrs 30mins but JAL has decided to introduce a domestic First Class. 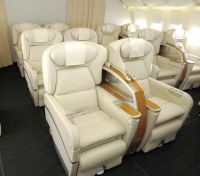 Boeing 777s are used on many of the services. Good news for sports fans: Lufthansa's in-flight entertainment service now includes an integrated live TV channel Sports 24. 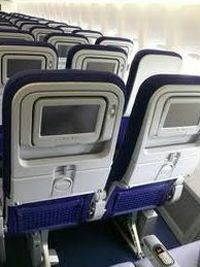 The signal is transmitted directly on board by satellite via Lufthansa's FlyNet broadband internet service and from there to the entertainment system. Unlike the internet, this service, which is initially only available on three recently delivered Airbus A330s, is free of charge for passengers. 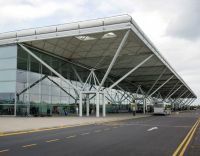 The seemingly never ending story of Stansted Airport and its ownership continues with current owner BAA Ltd having been given permission last week to petition against a competition ruling that forces it to sell off Stansted Airport. BAA said it “look[s] forward to presenting our arguments before the Court of Appeal” after it was allowed to fight against the Competition Appeal Tribunal’s February ruling.